Just subscribe to go in the draw to win one of two single passes for this gig at Toto this Friday 1 July! Massive main room projection mapping, 3 zones of world class Psytrance / Techno / Zenonesque / House / Ambient grooves and much more. Expect to see all three rooms of the iconic Toto dressed up as never before. if you went to our Neelix show you will have a taste of what to expect. But just a taste! This time we are going to absolutely transform the venue and it’s many nooks and crannies in what will be the biggest and most spectacular indoor production to date. Lighting legends Pretty Lights Productions will be on the colours & movement again, and we have an incredible in-house team developing the world bridging visuals, plus of course you will be immersed in yet another dreamscape of decor courtesy of our amazing team. 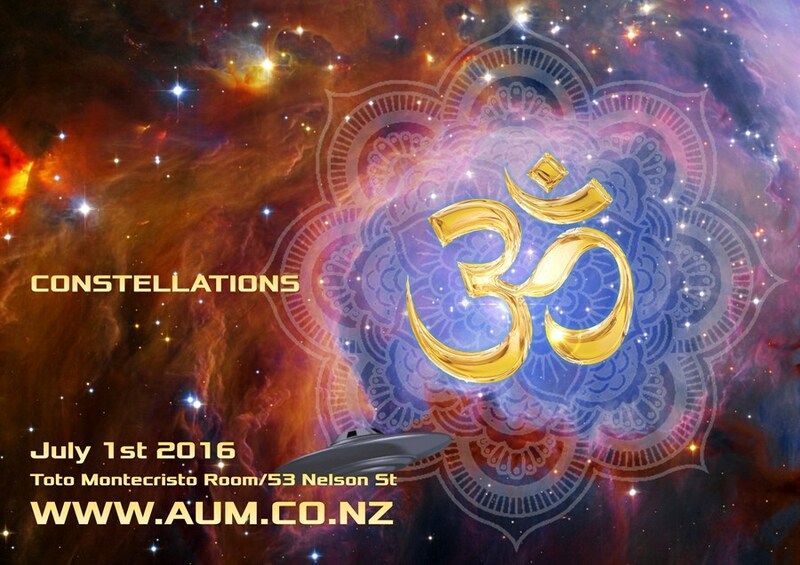 More details soon, but you can rest assured that this will be among the most detailed of productions seen at any music event in New Zealand for a long long time. We are pulling out all the stops. You simply do not want to miss this show. The mother ship is landing. Again you can also expect there will be artists working on site, performers, and all manner of amazing humans (and others?) combining to bring you an experience like no other before it. Please expect a very special line-up of incredible talent covering multiple genre’s of only the most cutting edge sounds available from around the world. As with all of our shows we will be aiming to build the entire event into a journey of mind, body & soul and we have carefully chosen the line-up for the CONSTELLATIONS to fully carry over the theme for the evening. Post by tomachi, posted on June 30, 2016 at 3:59 am, filed under Gigs. Bookmark the permalink. Follow any comments here with the RSS feed for this post. Both comments and trackbacks are currently closed.